Can Insulation Service Save You Money? 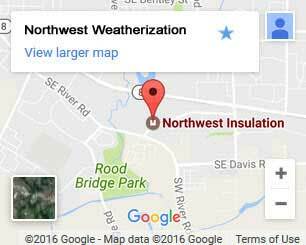 Insulation service in Gresham should be your first consideration for saving money and lowering energy costs. Poor insulation in a building allows a free exchange of air. Your temperature is always trying to equalize, so on a hot day your cold air will move out and vice versa. This makes it hard to maintain a steady temperature. It also forces your HVAC system to work even harder. The best way to prevent this exchange is with insulation services from Northwest Weatherization. Insulation is an investment in your home. You’re choosing a cost reducing measure that helps you save money in a number of different ways. Reduce how often you heat/cool your home. After a full home insulation service, you’ll find you won’t be reaching for the thermostat nearly as often. Keeping a constant temperature will be much easier, and you won’t need to use your HVAC system as frequently. This can drastically cut down on energy costs, especially during extreme months. Extend the life of your HVAC system. When your HVAC system works harder, it wears out faster. Overuse can cut 10 years or more off the life of your system. If it’s isn’t properly sized that number can increase. You’re already saving on electricity costs and secret savings like these can really add up. Insulation pays for itself. Insulation will pay for itself over time. This takes an average of 5 – 6 years, making it one of the most cost-effective upgrades to your home. After that initial period, it’s saving you money every additional year. What more could you ask for? Floor Insulation – Your home doesn’t stop at your floor. Basements and sub-floors cover a lot of square footage. That’s prime real estate for cold air penetration, especially during the winter months. We use a combination of vapor barriers and insulation to protect against heat loss and moisture. Proper insulation starts from the ground up. 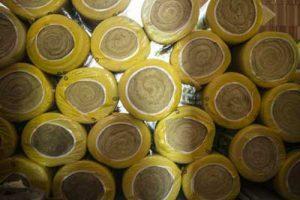 Wall Insulation – Nothing costs you more in lost heating and cooling than walls. They are cavernous and have the greatest surface area. We use spray-in insulation for a reason. It conforms to crevices and cracks, surrounding piping and electrical boxes. It will not settle and is resistant to mold and mildew. That’s protection you can rely on. Air Sealing – If you don’t take steps to prevent it, your duct system will contaminate your air. Ducts funnel air to a filtration system. When this is compromised your air can contain contaminants that include mold, animal waste, mildew, allergens, and more. We seal your system and protect your air. Window Installation – Newer windows are more efficient and protect against UV damage. We also offer sound-protective windows that reduce noise pollution. Even newer homes may have outdated windows. Our technicians will inspect yours before making any recommendations. 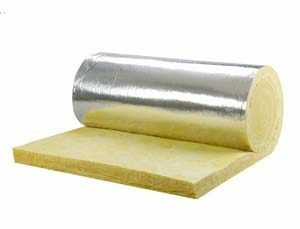 Insulate your Gresham home. A comfortable living experience starts right here and saves you money at the same time. Just call or contact us to schedule your free home energy audit and find out how much you could save every single month.